Immaculate’s Kayla Mingachos (11) and Newtown’s Keeley Kortze look to the ball during action on Oct. 9. Four Immaculate High School student-athletes recently signed to play sports after graduating from the school this year. Angela Saidman of Bethel will continue running cross country and track and field at Columbia University, where she plans to major in economics. While on these teams Angela won many awards and accolades, including being part of the cross country teams that won the 2018 Southwest Conference (SWC) Championship and Class State Championship four times in a row, from 2015-2018; individually she was a SWC champion twice, a three-time individual State champion, and three-time All-New England honoree. Saidman was the state champion of the 1,600 in 2018 and a New Balance Nationals participant in the distance medley relay (DMR). During the 2018 indoor track season, she also ran at New Balance Nationals in the DMR, was the SWC champion for the 3,200, was a State champion in the 1,600 and 3,200, and was All New-England for her mile run. She received the Ronald Reagan Student Leadership Award, the President’s Award for Educational Excellence and the Holy Cross Book Prize. Saidman is president of IHS’ National Honor Society and is the editor-in-chief of the IHS school newspaper. Mackenzy Garden of Danbury will play field hockey for the Stevens Institute of Technology, where she will major in biomedical engineering. At IHS, Garden played almost every position on the field hockey field and was a captain this past season. She is also on the school’s golf team and will be a captain this season. In her junior and senior years, Garden was named to the All-Patriot Division team for field hockey. She has also been named to the CHSCA Junior Select team and named the team’s Most Improved Player, also for field hockey. She helped lead her IHS field hockey teams to the 2017 SWC and the 2018 Class S State championship titles. Garden is a member of Immaculate’s Brave Engineers team which just won the state-level Real Word Design Competition and will compete with her team in the national contest in April. 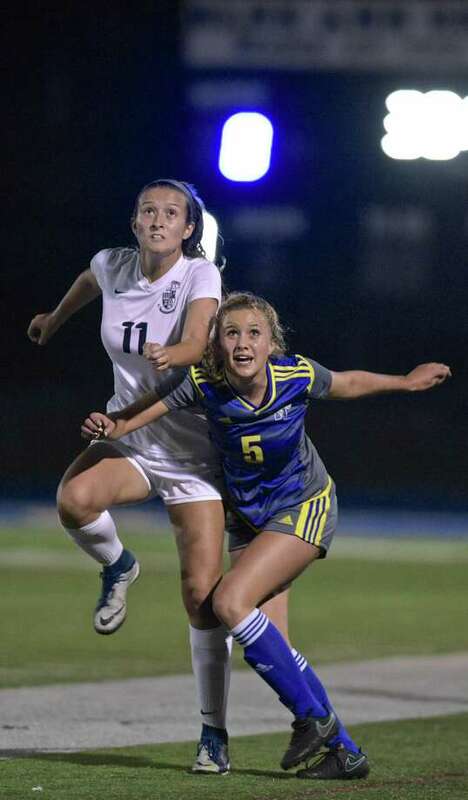 Kayla Mingachos of Danbury, a soccer All-American, will play at Quinnipiac University and is still determining her major. Mingachos played center midfield and was captain her senior year for the Mustangs. Her list of accolades and honors is impressive, most notably that she was selected to the prestigious 2018 Fall High School Girls All-America Team by United Soccer Coaches. Mingachos is one of only 58 girls in the country to receive this honor this past season. Mingachos was also named an All-New England and All-State First Team. Spencer Brown of New Milford will participate in the school’s track and field program, including the long and high jump, at Mount Saint Mary’s University in Maryland where he will major in special and elementary education. Brown is an important member of the IHS outdoor track and field team all four years at Immaculate, where he is a jumper and a sprinter and a captain senior year. He broke school records for the long jump and the high jump as well as the distance medley run for outdoor runs. He also ran indoor track 10th through 12th grades. He is a Top 100 U.S. long jumper and high jumper by MileSplit, and qualified at the New Balance Nationals. He is still competing in this year’s indoor track season and soon outdoor track and field. A High Honors student all four years at IHS, Spencer also participates in the Culinary Club, Model UN, the Special Friends Club, the Chess Club, the Pottery Club, the Yearbook Club and the Film and Animation Club.